Another new cafe in SS2! woo-hoo...SS2 is not only filled with bridal houses but also durian stalls cafes. This is their 5th outlet if I'm not mistaken. The trendy cafe (outdoor section). We went there last Saturday for supper and it was full of people! Both David and I, are coffee addict. Whenever we go out for drinks or food, the FIRST thing we look for are the coffees, of any kind on the menu. 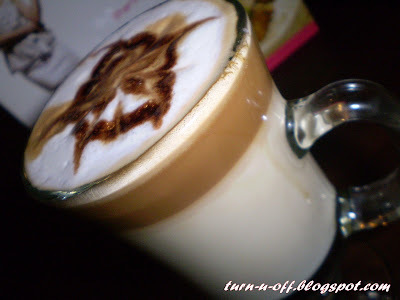 Mocha Latte (RM7.80). Straight shot smooth latte with chocolate flavour. Coffee and chocolate, perfect! My Caramel Cappuccino (RM 7.80). Straight shot foamy cappuccino with caramel flavour. I love the sweet, rich caramel taste. 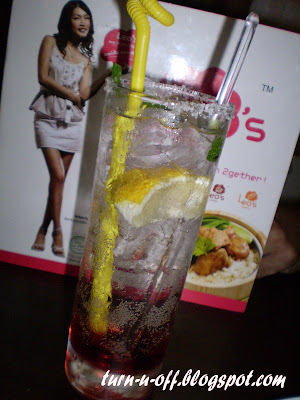 Mybf, who is not a coffee lover had Raspberry Fresh (RM5.80). We were quite impressed by Amber Chia's pictures everywhere variety of food mentioned on the menu. 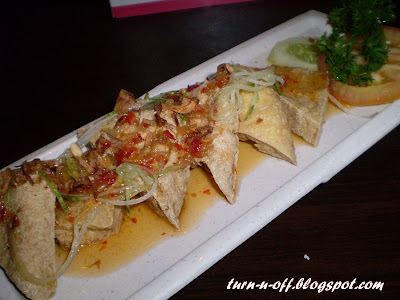 For something light, they had Pyramid Tofu (RM4.80). I don't like tofu, so I don't eat it. 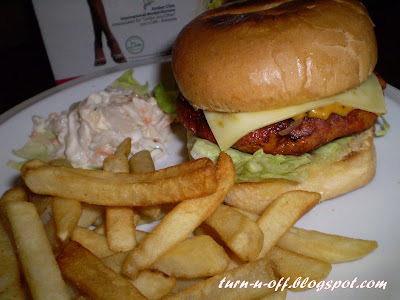 Chicken burger (RM6.80). The burger was good; crunchy and tasty. 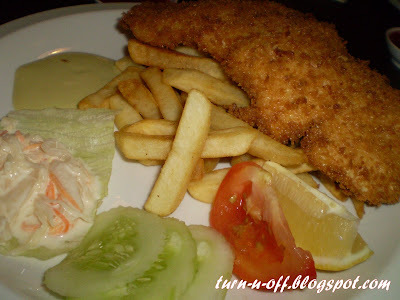 Chicken Schnitzel (RM10.80). German names with Italian style crumbled chicken breast pan fried till golden, served with honey mustard sauce, accompanied with French fries and medley of garden vegetables with a dash of dressing. oh by the way, the cafe is located right behind Old Taste Cafe! 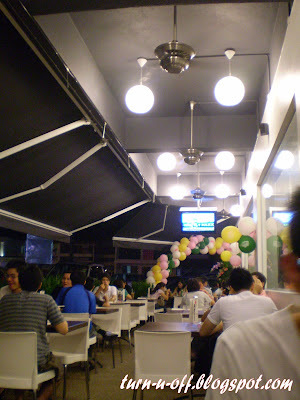 i've eaten at their joints in sri petaling. food's decent and price is reasonable for a cafe. i just thought the service was a little slow. looking for good coffee? i like san fran espressos. hey there. checking your posts. seems like more and more cafes are sprouting. in the old days, it was coffee house, dark and all served set lunches. 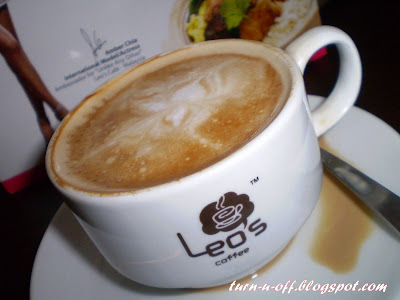 now lots of these crosses between gourmet coffees, fast food rest yet also like kopi tiam.. trend really changes fast. Expensive to hire must use it 'kao kao'. Wifey and me tried the one at Taipan and weren't really impressed with it though we did order just ice cream only la ... LOL! Yeah, Sunday night went supper with colleagues in Murni's and passed by here. Wah, now seems like every cafe got a celeb to be ambassador. oh, I love San Francisco too! Thanks for dropping by everyone! !